Established in early 2008, RHC Hosting is an integral part of RH & Co. IT Services Ltd which has been hosting small and big websites but also managing dedicated servers for clients worldwide. 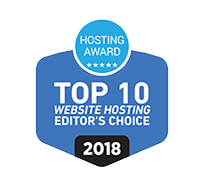 With years of experience, this division has grown to give a more personal touch to the needs of its clients and into a reputable, stable and secure web hosting partner for those seeking complete peace of mind for their personal or professional websites. Save the internet, fight for #NetNeutrality!